The Fusante No. 1 hand grenade was first introduced in May 1915, using an updated faceted exterior for easier handling and effectiveness. M. Shively’s modern interpretation of this historic armament, the FUSANTE BLANC, re-creates the form as pendant lighting, employing white porcelain and brass rivet ornamentation. 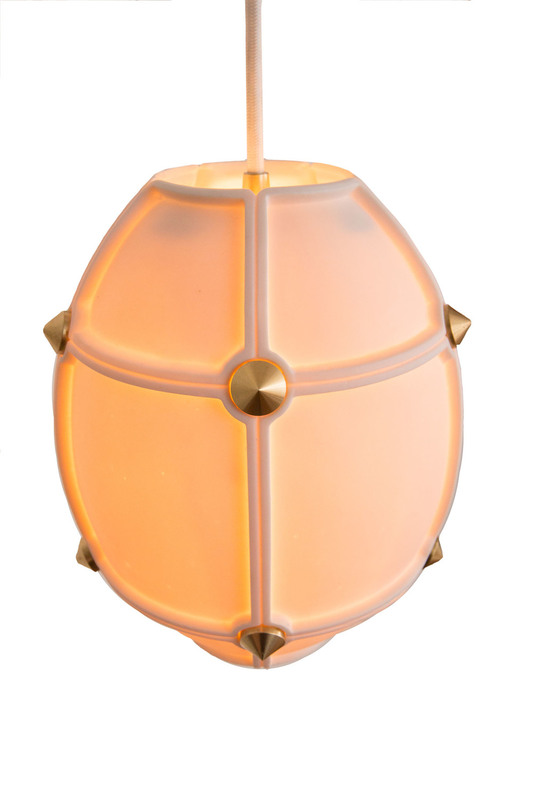 The pendant light uses a UL listed standard socket; white or brass cloth covered wire. Each is cast in white porcelain with brass button or spike rivets. Click HERE for tear sheet. that occur naturally during processing.